On June 14 -16, 2017, Orlando, Florida will host the largest Pro-AV show in America. Not only will you get to see the latest in audio visual products, but Orlando is a great vacation spot with Disney World, Seaworld and Universal Studios—all in close proximity to the show. Some of the hot sessions of the show are the Essentials of AV Technology, which is a comprehensive, introductory overview of the science and technology for audio, visual and audiovisual systems integration; AV Design Level 1: Environment, which explores the project phases and documentation associated with AV system design, as well as the physics affecting the surrounding environment, such as, human ergonomics, display and projection needs, and sound reinforcement; SynAudCon OptEQ – Equalization Demystified, which is a comprehensive approach to sound system tuning that combines contemporary and legacy design and equalization practices into a logical, accurate, repeatable process; and HDBaseT Alliance: The Extended Advanced HDBaseT Installer Training Program. There is always something new to find at InfoComm, especially this year. They are featuring a wealth of content, technology, and just cool, fun things for attendees to enjoy and many of them are included with your pass. 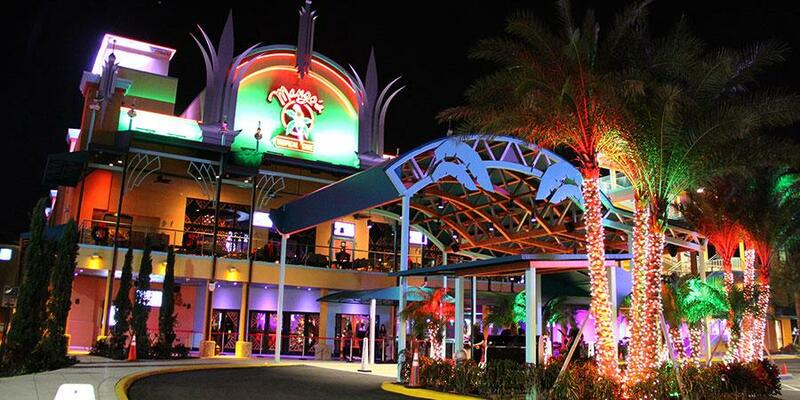 The opening reception will be held at Mango's Tropical Cafe for an unforgettable evening of entertainment and networking. Classes start on Tuesday, with more than 80 sessions that are brand-new. Plus, the Seminar and Workshop package now includes Manufacturers Training. You can experience hands-on demos of virtual reality, 360 video and augmented reality in a new pavilion dedicated to this exciting innovative technology. At the Innovations Showcase you can meet a dozen new-to-market companies with innovative solutions for commercial AV. There are five different tours from Disney and the Blue Man Group to the halls of UCF, you'll get a behind-the-scenes tour to see how these local venues, featuring innovative and exciting applications of AV for higher education and entertainment shows were created. When exhaustion overtakes you, you can go to the indoor oasis in Hall E and enjoy lunch from the "food trucks," listen to live music, and rest your feet. This is a chance to see new exhibitors first at InfoComm 2017—up-and-coming pro-AV brands and companies exhibiting for the first time in the U.S. Here are a few of these companies. For over 40 years, Eventide (Booth 6255) has remained at the forefront of recording technology. In 1975, they revolutionized the audio industry by creating the world’s first commercially available digital audio effects unit. Since then their legendary studio processors, plug-ins and stompboxes have been heard on countless hit records. Future Illuminations (booth 7343) is releasing something awesome. Laser Wire will blow your mind. With brighter light output, less power consumption, better bending properties, lighter in weight, thinner, longer lifespan, and has a more natural flexibility, Laser Wire™ brand cable is the newest, coolest lighting product. Guangzhou Grandview Crystal Screen Co., Ltd. (booth 4271) is turning inspiration into reality with a combination of advanced technology and processes. 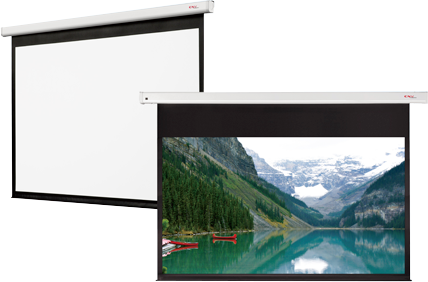 Grandview is a fashion orientated brand leader in the projection screen industry. Grandview possesses the tools needed to put their inspiration into reality all over the world. Grandview has over 30 patented technological features, which provides distinctive products. Grandview is consistently adhering to the spirit of innovation and using it to create more and more global firsts. Kino-mo displays (booth 959) are often associated with holograms due to the floating in mid-air 3D visuals. While holograms are extremely expensive, involve time-consuming installations, and require a dedicated space, Kino-mo holo-displays are a cost-effective and scalable alternative. Kino-mo finally brings small- and medium-sized holograms to the masses. Pinpoint Mounts (booth 5465) offers speaker and TV mounting brackets for home or commercial applications. From speaker mounts like the AM-20 that can mount directly to an electrical outlet box found in today's home theater rooms to the low-cost CM-560 universal flat panel TV ceiling mount. All mounts offer a combination of style, function and quality. Quality Systems Technology (QST) (Booth 475) is an American managed, service-driven, relationship-focused company dedicated to the Signage, AV, DOOH and Broadcast quality video markets. Founded in 1992 as an electronics contract manufacturer and an early pioneer of full-color "RGB" displays for broadcasting, they now offer complete turn-key OEM/ODM solutions. 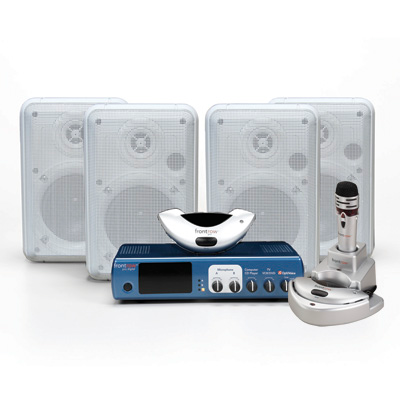 Sound Barrier (Booth 6961) is an international manufacturer of professional audio equipment. Comprised of a team of designers and engineers, Sound Barrier has long been a staple of the international audio community. From a small company manufacturing and selling car audio products in Latin America, Sound Barrier has evolved into one of the most trusted and reputable international brands. Tru Vue (Booth 1487) is a manufacturer of high performance glazing products for the custom picture framing, museum and engineered optics markets. They are a leader in anti-reflective coatings, as well as conservation-grade UV protection and specialty glazing products for these markets. Whatever the challenge, Void Acoustic Research (Booth 5267 & W232C) will always innovate. By achieving a true blend of sonic excellence and visual appeal, Void offers solutions to those who wish to break free of tradition. 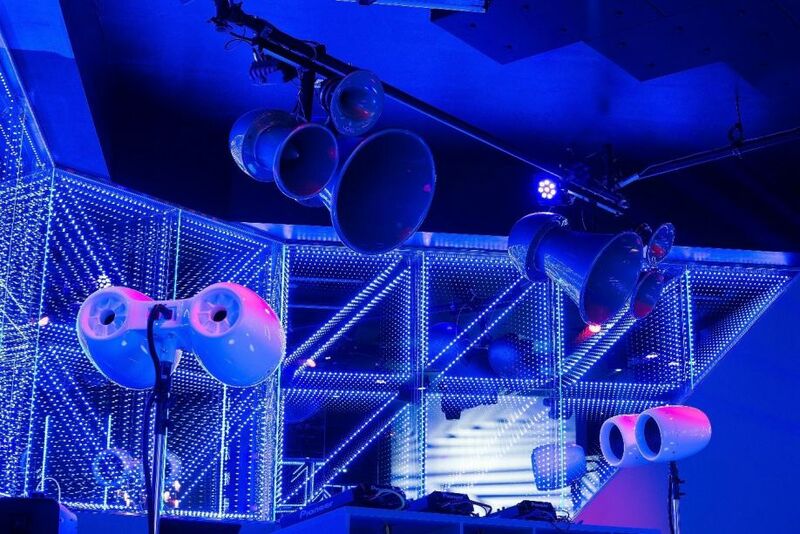 Void installation products are world renowned for their sonic perfection, reliability, and revolutionary looks, and are found in the most prestigious 'super clubs' and venues around the world. 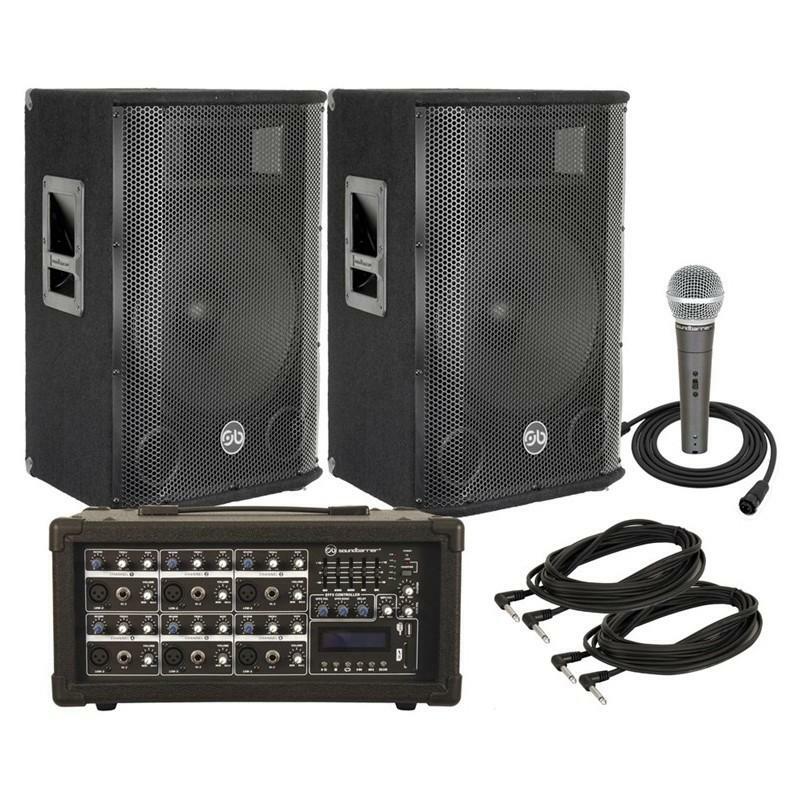 Void touring loudspeakers have become industry standards across the globe with countless numbers of production companies prescribing Void as their system of choice. 1 Beyond (Booth 4966) designs and manufactures purpose-built professional video systems for all aspects of the workflow from production through post, streaming, media asset management and archiving as well as SAN storage. The company is known for innovation, ruggedness and high reliability at a fraction of the cost of traditional high-end systems. 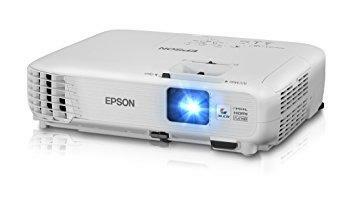 Epson (Booth 1642 & W204B), the number-one selling projector brand worldwide, creates innovative projection technologies for business, education and the home The Home Cinema 1040 projector delivers bright, Full HD 1080p widescreen entertainment at home. The projector features up to 15,000:1 dynamic contrast ratio, plus 3000 lumens of color brightness Connect your Blu-ray Disc® player, gaming console or streaming device like Chromecast™, and project up to 300", on virtually any wall or screen. 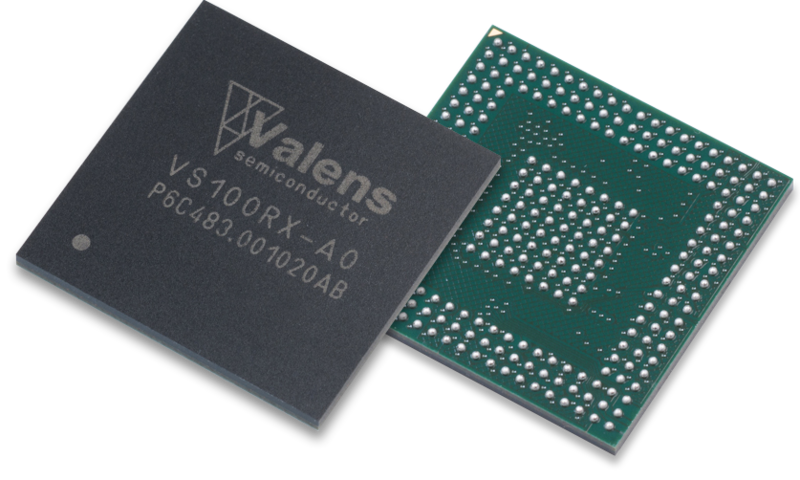 Valens (Booth 3761) is the world leader in HDBaseT technology, and is a top provider of semiconductor products for the distribution of ultra-high-definition multimedia content. The company's award-winning HDBaseT technology enables long-reach connectivity of devices over a single cable and is a global standard for advanced digital media distribution. HDBaseT has been widely deployed in the audiovisual, consumer electronics and industrial markets, and is currently making inroads in the automotive sector. FrontRow (Booth 5568) is the leading manufacturer of classroom amplification systems, which result in better student behavior, comprehension, test scores and teacher vocal health. The systems are designed to evenly and clearly distribute classroom sound, essentially giving every student a front row seat. 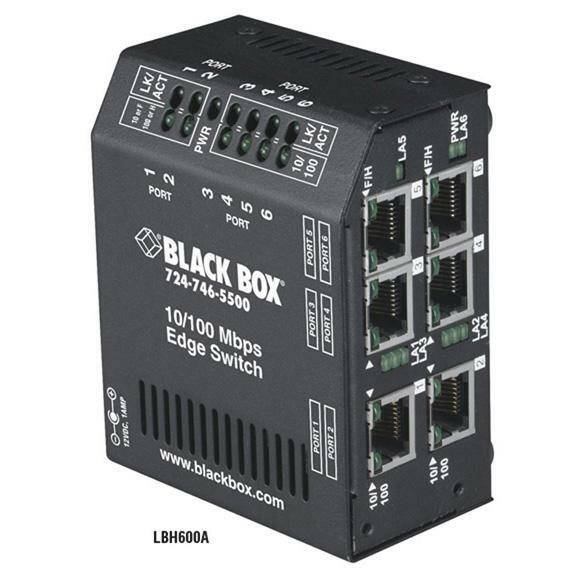 Black Box (Booth 2961) products and solutions include IT network infrastructure, audio and video signal conversion and extension, copper and fiber cables, cabinets, racks, digital signage, data centers, and wireless (BYOD) collaboration components and systems. Black Box Corporation is a leading technology solutions provider dedicated to helping customers build, manage, optimize, and secure their IT infrastructure. Altia Systems (Booth 3770) is the creator of the PanaCast camera system. PanaCast 2 is the world’s first Panoramic-4K Plug-and- Play USB video camera. It delivers a 180° wide field of view which replicates the natural human visual perspective. The PanaCast 3D VR Kit is the first system to deliver 180° 3D content with full 4K resolution in real-time, with in-device panoramic stitching. 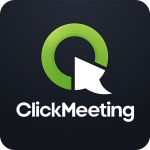 ClickMeeting (Booth 2986) brings the power of videoconferencing to organizations of any size, from one-person firms to multinational enterprises. The web-based solution is easy to use and covers the entire webinar process—from preparation to presentation, and from interaction to follow-up. Because the platform is browser based, it requires no software installation and works on all devices and operating systems. With 1,000 exhibitors, thousands of products, and 40,000 attendees from 110 countries, InfoComm 2017 is the place to be. This is the show to tap into your potential. Check it out at http://www.infocommshow.org/.